First, is the ability to create standards in both application functions and in run-time displays or work processes. This allows for the re-use of engineering across the plant and the enterprise, saving significant application development cost on future customer projects. Standardization also means that employees can be trained to operate other parts of the plant or other plants in the enterprise with little effort because the system behaves the same wherever the standard is used. This cuts training costs and staffing requirements. The second area of savings is in integration. 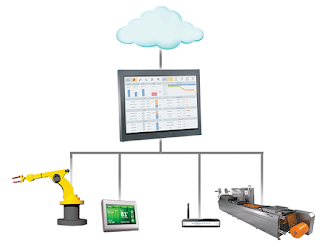 Leveraging the broad set of device drivers and communications servers from Wonderware, coupled with the standard connectors of .NET and other industry standards like OPC (OLE for Process Controls), the technology allows any system, device, database or software application to participate. The third area of savings is in flexibility and easier change propagation. Changes can be made centrally and then easily propagated across a broad network of operating computers. This is extremely valuable during Factory Acceptance Testing (FAT testing) and whenever the system must be scaled up or down to take advantage of new business opportunities. With the development of ArchestrA technologyas the world’s first and proven ISOA, industrial computing has finally evolved to the point at which technology constraints no longer limit performance-based applications. The proven track record of ArchestrA ISOA (Industrial Service Oriented Architecture) technology enables a new movement toward improved bottom line value for industrial operations. ArchestrA is a comprehensive automation and information software open architecture designed to integrate and extend the life of legacy systems by leveraging the latest, open industry standards and software technologies. ArchestrA ‘industrializes’ Microsoft .NET and other Microsoft technologies in order to provide an even more productive toolset for building critical operations management software solutions for manufacturing, production and facilities operations. The result exposes services needed by manufacturing and industrial infrastructure such as common name space, object management, industrial security, high availability and redundancy, plant connection, enterprise connection, client interface, web portal and systems management.